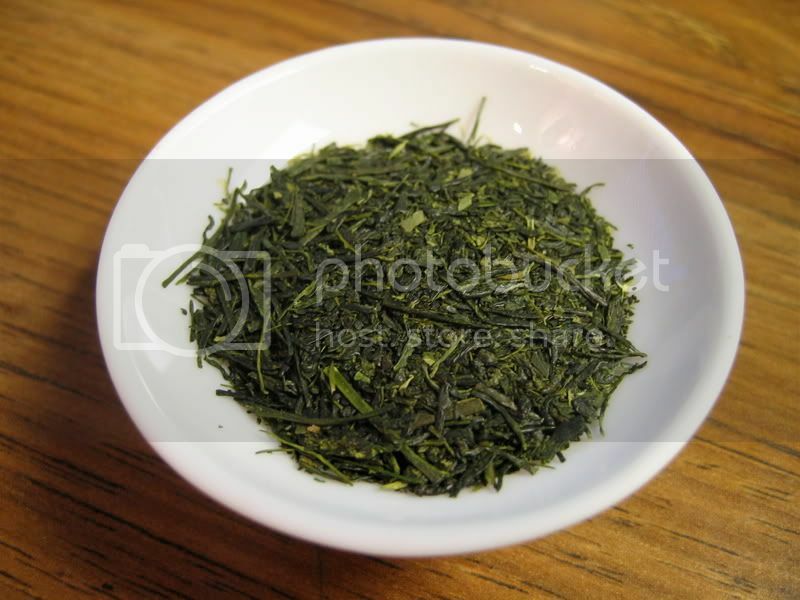 If you have never tried Fukamushi Sencha, I highly recommend it. "Fukamushi" refers to the deeper (longer) steaming that this type of tea undergoes during processing. 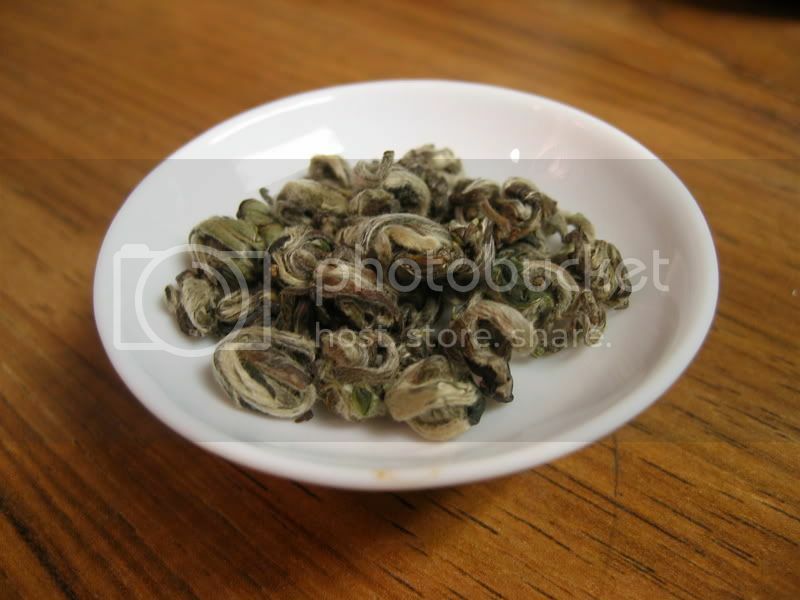 (See this page for more details on Japanese green tea processing.) The deeper steaming results in, admittedly, an uglier looking tea, with many small particles and fewer whole leaves. The taste and color of the infusion, however, is far more positively affected. The taste is much richer and more full-bodied than most Japanese greens, and the color is a striking emerald green. It retains the classic marine notes (I hesitate to say they remind me of seafood, but they do, only not in a fishy way if that makes any sense) and vegetal taste of quality Japanese greens, and depending on steeping conditions, this fukamushi sencha even has a bit of sweetness. The liquor may have a higher level of particulate than most teas as a result of the deeper steaming, but I actually like having those little bits floating around. It really depends on how fine your strainer is, though. You may only have a few particles with a fine mesh or your tea may be quite cloudy with a looser strainer. Speaking of strainers, I recommend brewing this in a small pot, one serving at a time. I would NOT recommend a gaiwan for this tea. Though it would be handy to have the control and amount of heat retention a gaiwan offers, the leaves and particles are simply too small to filter with just a lid. 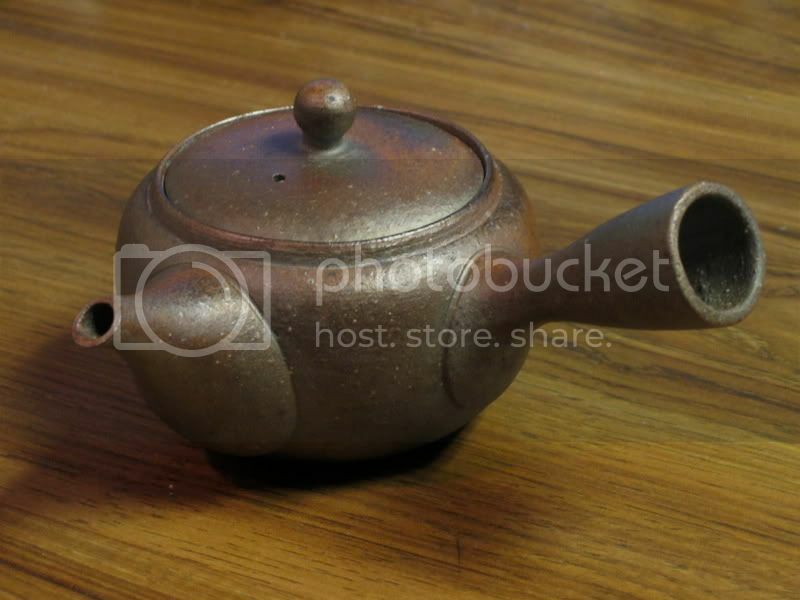 I think the ideal brewing device is a Japanese kyuusu, such as the one shown here. One would expect that the Japanese would find the best way to brew their own tea, and they have. Look for my review of this kyuusu, coming soon. 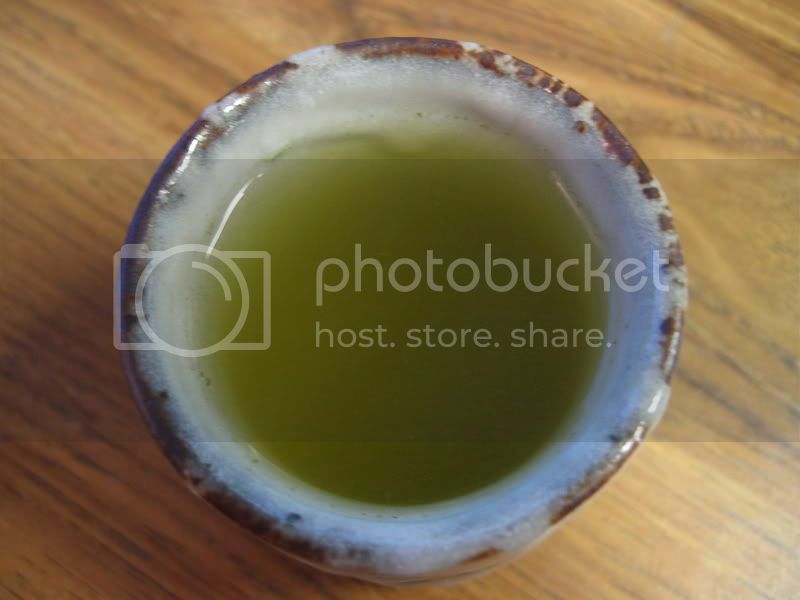 If you are in the market for Japanese green teas, either fukamushi sencha or any other, I highly recommend taking a look at the O-Cha.com website. Since they ship directly from Japan and nitrogen flush their teas, they arrive very fresh, unlike most other green teas purchased in the US or over the internet. Overall, this tea gets a 9/10. 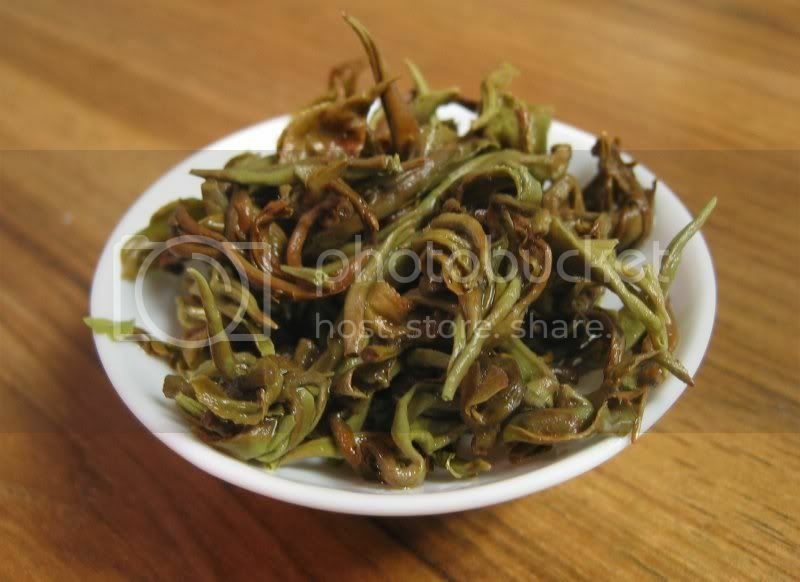 The dry leaves are downright ugly, but the taste and color of the infusion are excellent. Hello internet, and welcome to Tea Nerd! Links to helpful websites related to tea. To be perfectly honest, I tend to prefer Darjeeling black teas and Japanese greens, so that is likely going to make up the bulk of the reviews on this site. Still, I will try to branch out to cover as many types of tea as possible. Anyway, I look forward to my first review, and I invite you all to check back periodically for new content!